This blog typically is directed at all things Costa Rica however I had the unique opportunity to spend a week in Guatemala (a neighboring Central American country to the north of Costa Rica). This is the final part of a series of posts that will cover my week long trip. You can read part one here and part two here. It was about 9:30pm and I was just about to doze off in my hotel room. The next day we had to depart at 6:30am in order to get to our village visits so I was looking for one of those “early to bed, early to rise” nights. With the TV on low and my consciousness slowly fading into dreamworld I was promptly started by the sudden ringing of the room phone. “Hi Dustin, please come meet the group in the lobby. There has been a change in plans.” Well this had interesting written all over it. Living in Central America you become used to things that would never be a concern in the US. As a University Construction Management student I remember reading through construction contracts and chuckling about acceptable reasons for finishing a project past its due date. Hurricanes, war, strikes, political protests. Yeah, like those things were ever going to happen so much that it would disrupt a construction project. Well those things are very real here. Most places only have one route to get there. If there are detours they are a good 3-4 hours. So any of these things could quickly throw a monkey wrench into everything. Sure enough there was going to be a strike the next day that planned to block all the highways leaving Guatemala city. Why were they blocking the streets? Who were the culprits? You might be a little surprised to hear that the government hasn’t been paying their doctors since July. This might seem unheard of that a government would not pay their employees. Actually last year in Costa Rica teachers went on strike for one month because some of the teachers were not getting paid. Some. They interrupted the school year for one whole month before the government got their act together. And there were various days when roads were blocked in protest. In the end all everyone got paid, even for the month they were on strike and there was no reduction in vacation time or extension of the school year due to the strike. Everyone won except the senior students who had one less month to learn and prepare for the national exam that they needed to pass in order to graduate, but I digress. Who knows how the Guatemala doctors will fare but I was not the least bit surprised by the situation so when our departure time got pushed up to 2:30am in order to avoid the blockade I thought well at least we would avoid the morning rush hour. I have to say though it could have been worse. That same night on the news we heard of some schools that weren’t being allowed to teach because some neighborhood gangs were threatening them that there would be violence if they didn’t pay them 15 thousand dollars. I never figured out why they wanted that money but it probably wasn’t a very good reason. Nevertheless I’m very content that the most I’ve had to deal with in Costa Rica are peaceful marches and roadblocks. Throughout the course of these posts a lot of things have swung in Costa Rica’s favor however one obvious advantage Guatemala has over Costa Rica is its transit system. The main highway that runs through Costa Rica connecting Nicaragua and Panama is primarily a two lane road, one lane for each direction. If you’re lucky you might have a passing lane on some of the steep uphill climbs but keep your guard up because those lanes are closed in random spots from mudslides that happened years ago that the government has never repaired and doesn’t plan to repair them. Not so in Guatemala. All the main highways going in and out of the city are 4-6 lanes and there are always additional passing lanes for the uphill sections. Mudslides are just as common as in Costa Rica but when they happen the government is there to clean it up quickly and re-open the lanes. They still have too many cars in the city but what big city doesn’t have traffic issues? My only concern was feeling sick from inhaling all the fumes sitting in idling traffic. Besides that the only other issue I had with the roads were the number of speed bumps. This is really the only way to control speeding in Central America but it was a little over-exaggerated here. Usually when you get to a school zone you have one bump at the beginning of the school and one at the end however in Guatemala they would have like four. And for the manual car drivers, they were spaced just far enough apart so you would have to shift from first to second gear just for a second before arriving to the next bump. not. From what I saw the majority of Guatemala is drier than Costa Rica (similar to the Guanacaste region). They have higher elevations and are situated further to the north so it can get colder than in Costa Rica. When I was there the last week of January there were some places that got below freezing at night. That never happens in Costa Rica. Due to this it wasn’t surprising to not hear much talk about beaches. One of the crown jewels of Costa Rica, however if you ask a Guatemalan about beaches they’re likely to tell you about the beach trip they took…. to neighboring country El Salvador! In the short time I spent in Guatemala I would have to say tourism and agriculture are a big part of the economy, which is quite similar to Costa Rica. Both countries grow lots of coffee too. One thing I noticed in Guatemala is there are not a lot of industrial coffee processing. A lot of the coffee is sun dried whereas in Costa Rica they have mechanical ovens that can dry the coffee quickly in addition to sun dried. The sun dried process takes a few days but the quality is better. In this sense Guatemala might be a little more of a “I’ll get to it mañana” country than Costa Rica. Other than that you will see a lot of corn being grown in Guatemala. We planted fruit trees in some of the rural villages we visited to help diversify their diets because everything they were eating was corn based. You’ll see corn in Costa Rica too, but sugar cane, bananas, pineapple, etc all have their growing zones as well. To conclude my little Costa Rica-Guatemala series I’d like to talk about the culture. My wife is Costa Rican and her and her parents joined me on this trip. It was very interesting to see how they interacted with the locals and to hear their opinions about the culture. They shared some of the same reactions as to why they would live so remote but were very curious to learn about how they lived. My in-laws grew up on farms and were able to teach the Guatemalans about farming. Some of them knew so little that they weren’t even sure how to plant trees or seed a garden properly (not that I knew any of that either, but at least I know I have the resources if I ever plant my own garden). I have to say both cultures pride themselves on their friendliness. The Guatemalan accent is very sweet and inviting and even though the Costa Rican accent is distinct it is filled with “honeys, sweeties, and cuties”. There seemed to be an ongoing battle between who could be the most polite and sweet. countries is the cleanliness of their formal dress. Living in mud huts in dry and/or rainy conditions it is beyond belief how they maintain their traditional dress spotless. We visited villages on a Sunday and everyone had on their sparkling Sunday best. This concludes thoughts and reactions after a week in Guatemala and how it compares to living in Costa Rica. Despite its flaws I’d still choose Costa Rica over Guatemala however the experience traveling there was refreshing and exciting. It makes you thankful for what you’ve got too. Costa Rica is a step above the rest. 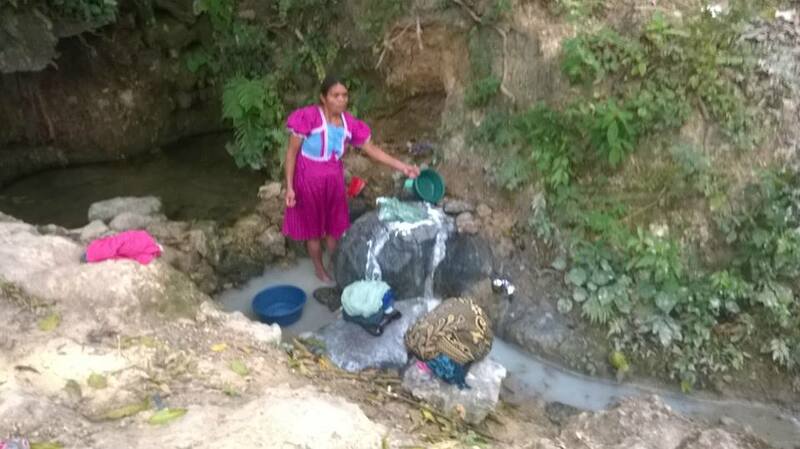 What I saw in Guatemala compares to Nicaragua and Panama living conditions. I’ve never been to Honduras or El Salvador but I would assume they are similar to Guatemala too. As for getting back to sleep after resetting my alarm for 2am it didn’t really happen. The adrenaline switch was on and shortly I would be on my journey. 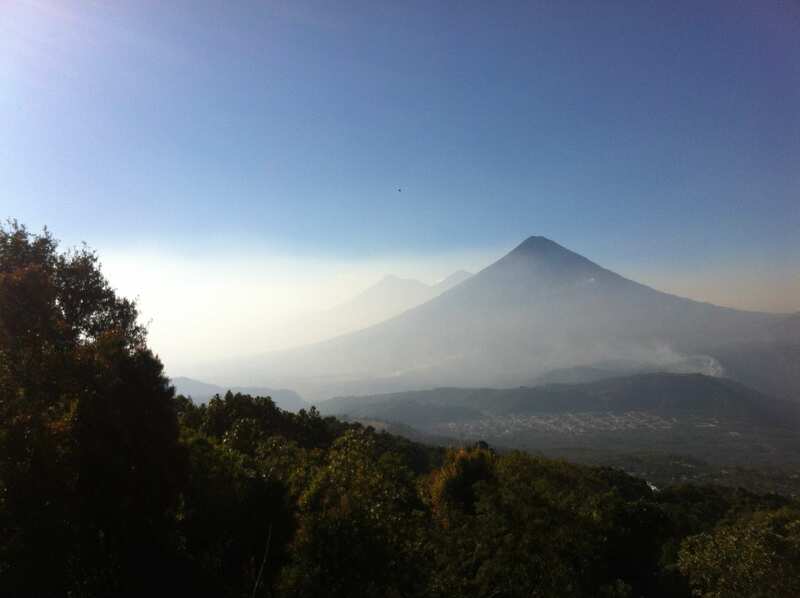 UPDATE: The Fire Volcano (volcan del fuego) located just 45km from Guatemala city began erupting heavily today. They closed the international airport this afternoon so we just lucked out having flown back on the third.